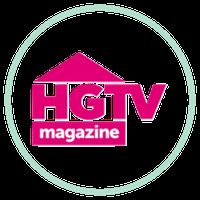 I don't know why I get so excited about DIY projects, but I just do! Luckily I have a loving, kind, hilarious husband that enjoys watching me obsess over my little DIY projects and doesn't think I'm the biggest weirdo ever for painting terra cotta pots 27 different ways. Love you, C! 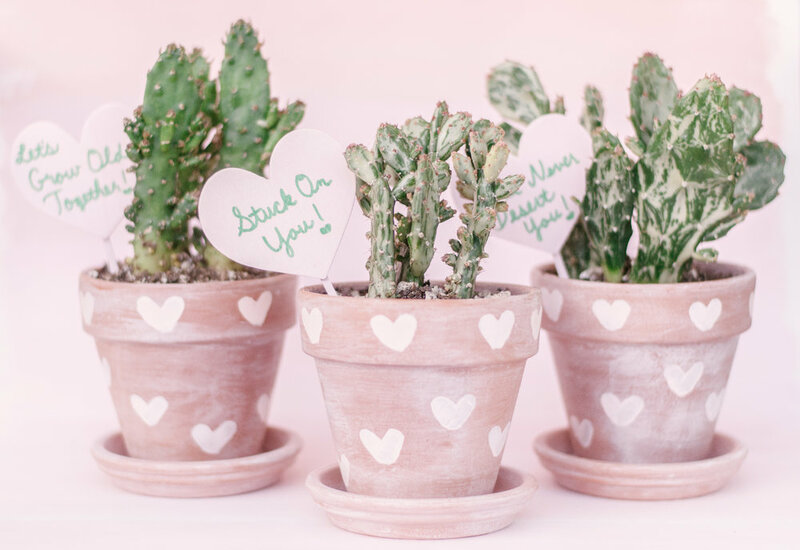 If you've been following our little blog since the beginning, you've no doubt realized that I do, in fact, have a slight obsession with painting terra cotta pots. 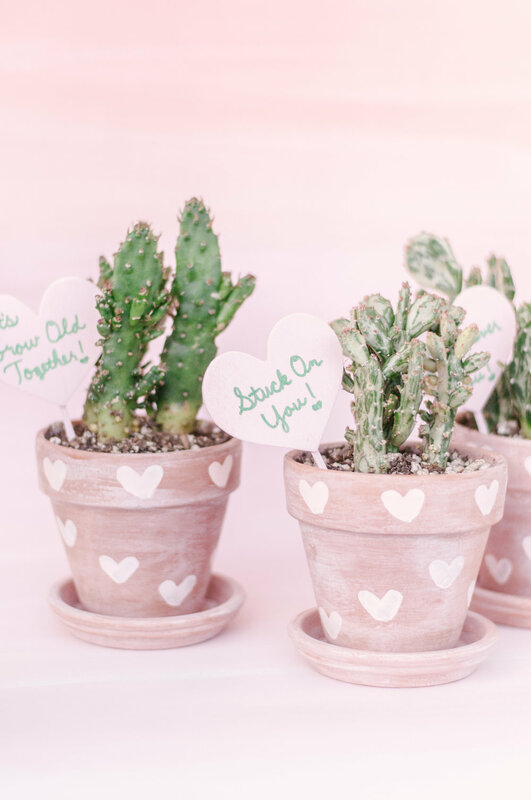 And no, I'm not over them and probably never will be despite the fact that terra cotta pots, succulents, cacti, etc. 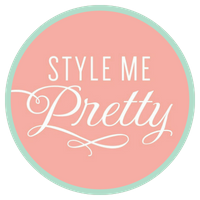 have been dominating design, Pinterest and the interwebs in general for about as long as everyone can stand. But I give myself a free pass to obsess over those trends as long as I like because we do live in the Southwest, so desert-y design elements aren't trendy around these parts, they're just... here. Right? Sure. 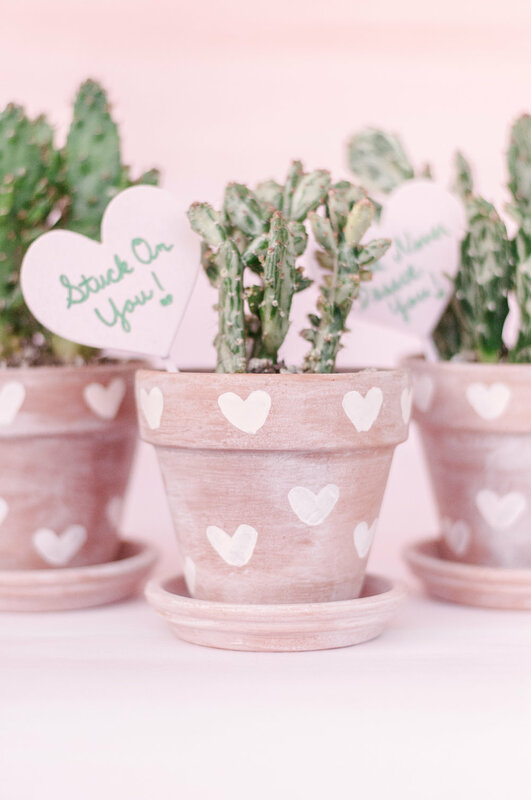 I've had the itch to create yet another super simple, totally doable and fun fun fun painted terra cotta pot DIY project in the last few months, and what better reason to make it happen than the arrival of the most awesomely loved-up holiday there is, Valentine's Day?! 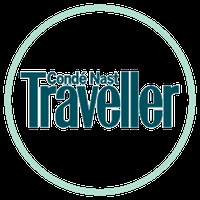 I've said it before here on the blog and I'll say it again... I love Valentine's Day. I've loved this heart-filled holiday since I was little and I'll love this holiday until the day I die! 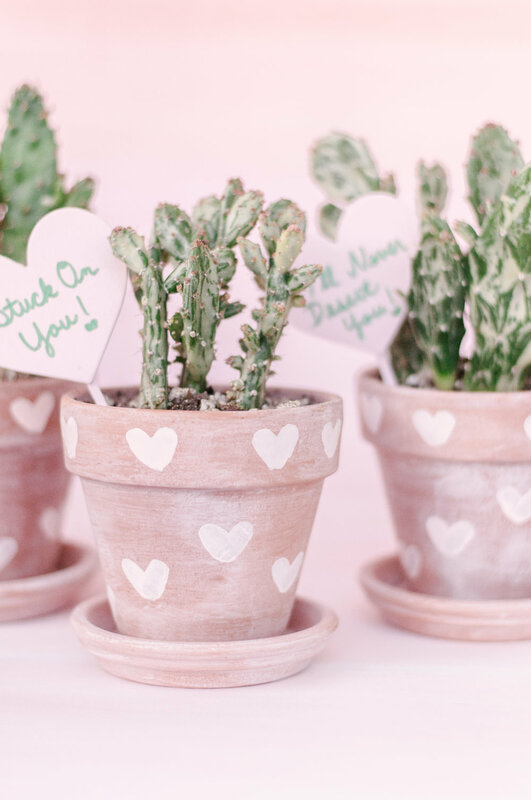 Which is why I enjoy coming up with new ways to spread the love on V-Day, and this year I'm forgoing the whole card thing for a more lasting, handcrafted Valentine - a cool cactus in an oh-so-cute, hand-painted terra cotta pot. 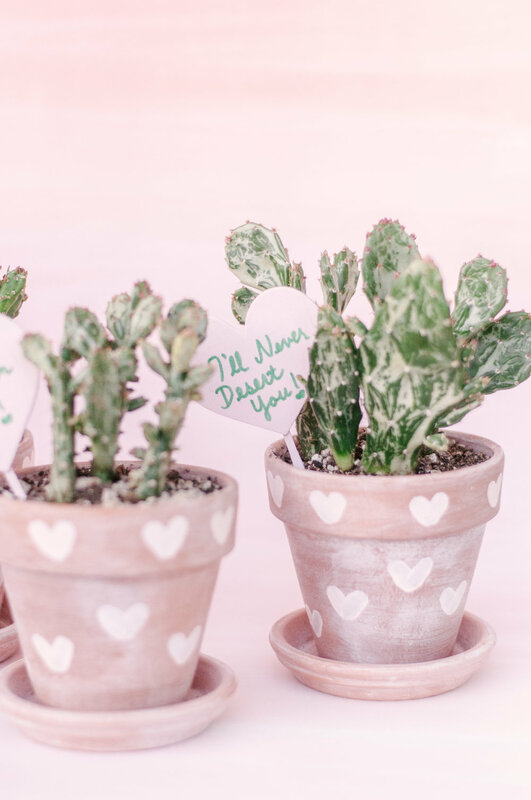 These little cuties not only tell the ones you love that you adore them, but also that you respect them enough not to disrupt the decor vibe they've so painstakingly created in their home with an obnoxiously loud and Valentine-y gift that that totally doesn't gel with said home decor vibe. I really wanted to create something that felt like Valentine's Day, but was also simple and versatile enough to brighten up their home all year round. I didn't want to create and gift another annoying tchotchke that your friend or bae slyly disposes of once the holiday's over and the whereabouts of which they're subsequently forced to lie to you about every time you come over. No no no. Sweet, simple, thoughtful and evergreen, both literally and figuratively. That's what I was after with this project. 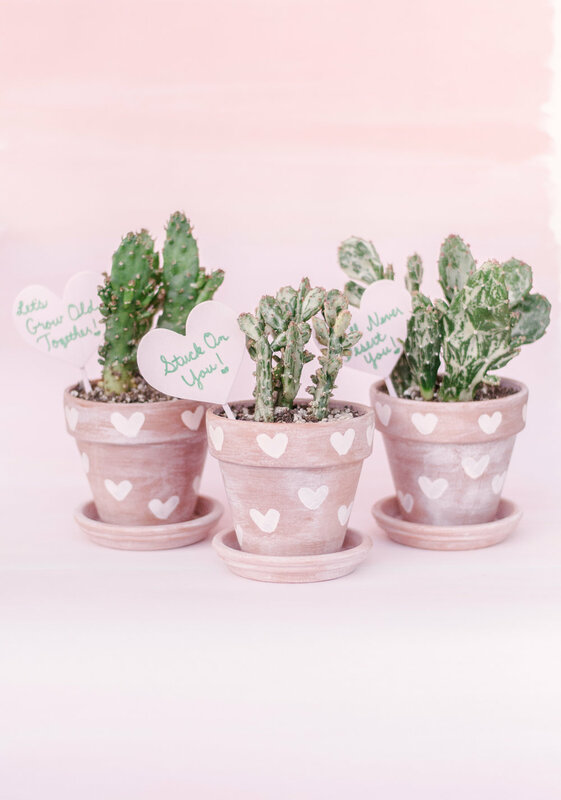 Your love or your BFF can easily just remove the heart-shaped plant marker/punny cactus love note and voila... pretty year round cactus pot! What you see here are small terra cotta pots that I picked up at Home Depot (the cheapest place to procure said terra cotta pots - they're $.78) that I whitewashed using Martha Stewart craft paint in what's actually a more flesh-toned hue called "Porcelain Doll" for a subtly pink tint to the wash, the easiest and sweetest hand-painted hearts that involve two quick strokes using a filbert brush, the color for which was created by mixing Martha Stewart craft paint colors "Porcelain Doll" and "Poodle Skirt" (I wanted to create a really subtle blush color), and a wood heart sign that was painted in that same blush mixture and engineered by attaching a small wood pick to the back of a small wood heart using super glue. Those fun green cactus pun messages were hand written using a plain old Mr. Sketch scented green marker, which was surprisingly the best marker for the job of the options I tested. So without further ado, the ridiculously easy instructions! 1. Mix 1 part Martha Stewart Satin Craft Paint in Porcelain Doll w/ 1 part water in small disposable bowl. To cover all 3 pots I used about two quarter-sized dollops of paint with an equal amount of water. A little goes a long way here. If you want your wash to have a stronger white color that will in turn make your terra cotta pots look more white, add more paint to mixture. 2. Apply wash to terra cotta pots using any small, standard wash brush (I used a 1-inch square brush). Wipe immediately with a soft cloth. The less you wipe, the more white your pots will look. I wanted a less obvious whitewash on my pots, so wiped pretty thoroughly after each application to let the peach of the terra cotta come through. 3. Mix 1 part Martha Stewart Satin Craft Paint in Porcelain Doll with 1 Part Martha Stewart Satin Craft Paint in Poodle Skirt. I used about a quarter-sized dollop of each color in a bowl and that allowed me to paint all of the hearts on all 3 pots. 4. Using a small 1/2 inch, medium stiffness filbert paintbrush (filbert = brush with an oval-shaped head) and your pink paint mixture, paint one small brushstroke angled to the left and one small brushstroke angled to the right, uniting the two strokes at the bottom to make your hearts. 1. Using more Porcelain Doll/Poodle Skirt paint mixture and any 1-inch medium stiffness paint brush, paint wood hearts and cover completely. Let dry. 2. Using more Porcelain Doll/Poodle Skirt paint mixture and any small paintbrush, paint mini wood craft picks and cover completely. Let dry. 3. Once wood pieces are completely dry, use super glue to affix the wood craft pick to the back of wood heart. Draw one small line of super glue along half of the length of the craft pick and place on the center of the back of the wood heart. Hold together briefly and then let dry. 4. 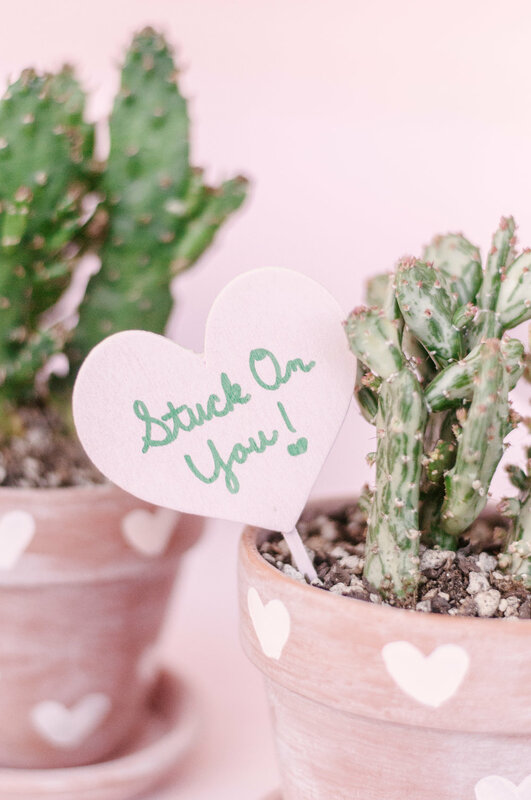 Write your punny Valentine's Day messages on your hearts using your green marker and place into your pot.